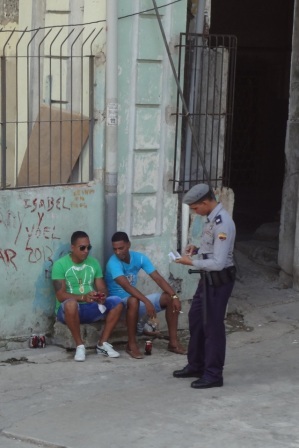 Havana streets offer a look at street life everywhere you turn. People tend to live outdoors because with three or even four generations living under one roof, it’s getting crowded inside. 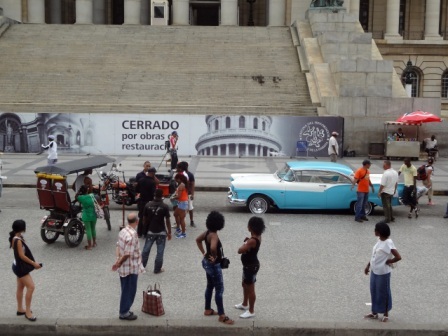 Don’t be shy about breaking away from tourist areas such as Old Havana, the Revolution Square and Marina Hemingway. The Capitolio is a major tourist attraction but it has been closed for renovation for several years, and will not re-open for many more. Walk the streets and you’ll see how the locals get rid of the little garbage that a family accumulates. Every street in Havana has dumpsters. On the big streets such as Neptuno you will see garbage truck men emptying the dumpsters. Mostly the garbage is vegetable peelings as there are few products to buy and fewer wrappings. 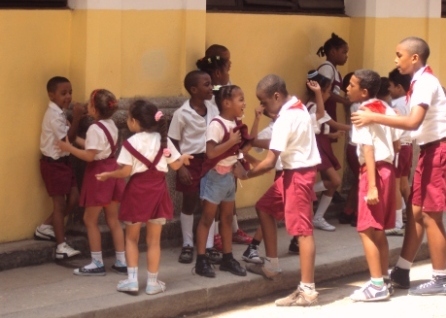 You’ll see the Habaneros going about their everyday life, working, waiting in lines, but most of all socializing. If you hear a hissing in the street, don’t worry, that’s just the way that they call to a friend. And the sound of children playing, which has been lost in much of the world, can be counted on at every corner. Anywhere you walk, any time of the day or night, you’ll find men at makeshift tables engrossed in dominos. 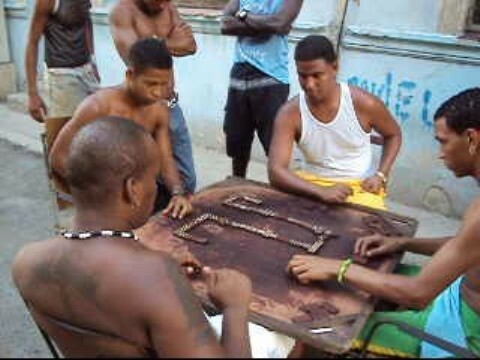 This has always been a popular pastime in Cuba and there’s the chance of a cool breeze in the streets. 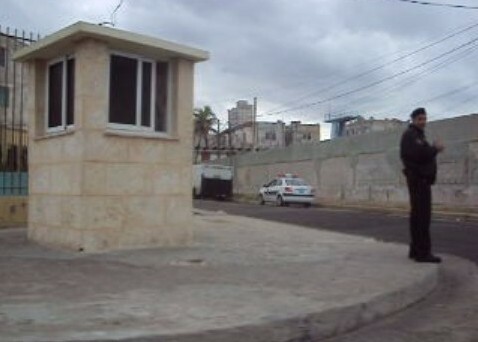 When you see the police patrolling Havana streets, remember that they do not allow their photo taken. This goes for military installations as well, which you can come across during your walks.